Premature baby support when you need it .Delivering a premature baby is very stressful for parents. So what support can you get as a family.? In the first place the nurses in the Hospital are there for you, just as much for the care of your premature baby. The support they can give is invaluable. You may have many questions to ask as your baby is whisked away from you.next to one of the special care baby units they will be cared for in. 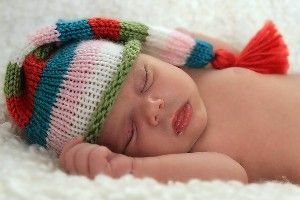 premature baby support is also available from the charity Bliss.The charity Bliss's Aim is offering the best chance survival and quality of life for premature babies. So then what support do bliss offer for families? When a premature baby is born it often means a length stay in hospital. Once mum has been discharged you both will be visiting your premature baby whilst they are in hospital. There can be extra costs in going to and from the hospital. Not to mention parking fees. Bliss charity website has a resource page where you can see all the information on getting all the financial support you could be entitled too. Bliss offer email support for families. there is a telephone number you can ring. you can get information on what happens in the neonatal unit where you premature baby is looked after. Discharging premature babies come with a mixture of joy ad worry in the mother’s heart in particular. This is on the grounds that it can terrify to leave the security of the hospital nursery. In a way, you are presumably yearning to take your child home. In the meantime, you’re likely feeling protective of your infant, and restless about taking care of him all alone. Be guaranteed that your child won’t be sent home before it is safe for him to clear out. Nurses on the neonatal unit should show you all that you have to know. Continuously ask them if you are uncertain about anything or if you don’t feel prepared. Your doctor will likewise consider how great your child’s wellbeing is. Can the baby keep up body temperature in an open crib for nothing less than 24-48 hours, contingent upon how premature the child was at childbirth? Can the baby take all feedings by breast or bottle without supplemental tube feedings? Can the baby put on weight steadily? Take note that babies who have had surgery, were conceived with health issues, or who invested weeks on breathing machines and oxygen are the destined to stay past their unique due date.